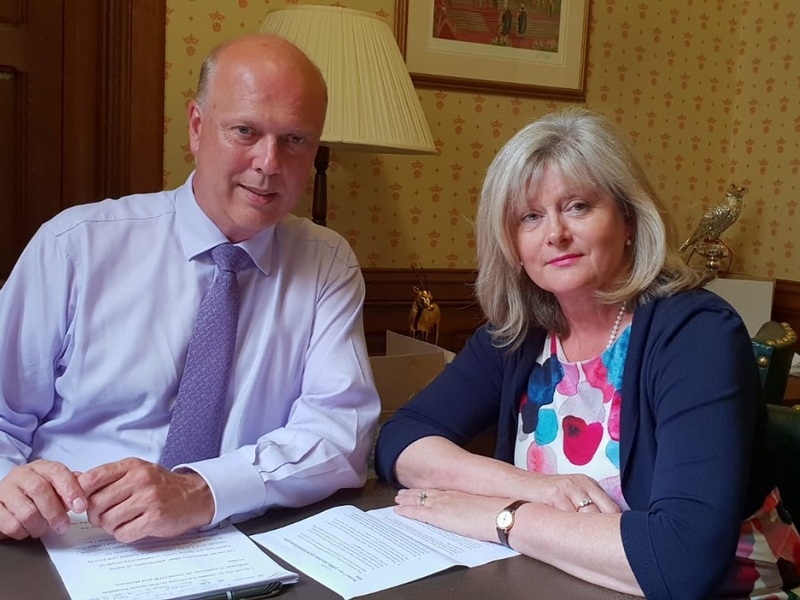 St Albans MP Anne Main met with the transport secretary Chris Grayling yesterday during a heated meeting on Thameslink rail service. The meeting follows the considerable disruption suffered by St Albans commuters served by Thameslink since the timetable change on the 20th May. Disruption for passengers has continued into its third week and there is mounting pressure on Thameslink and Network Rail executives who implemented the new timetable change. ‘This was the combination of late scheduling of the timetable by Network Rail and an overly optimistic approach to the roll out by Thameslink that caused this mess’, Anne said. Mrs Main met with the transport secretary yesterday to express the frustrations of commuters who have contacted her in the last few weeks. Mrs Main also raised the continued mistakes by Network Rail that have caused many of the disruptions to take place during the meeting. The St Albans MP said that ‘once again Network Rail have a lot to answer for’, as she used this opportunity to pour scorn on the vague timetabling assurances brought forward by Network Rail for the proposed Rail Freight interchange with the secretary of state.